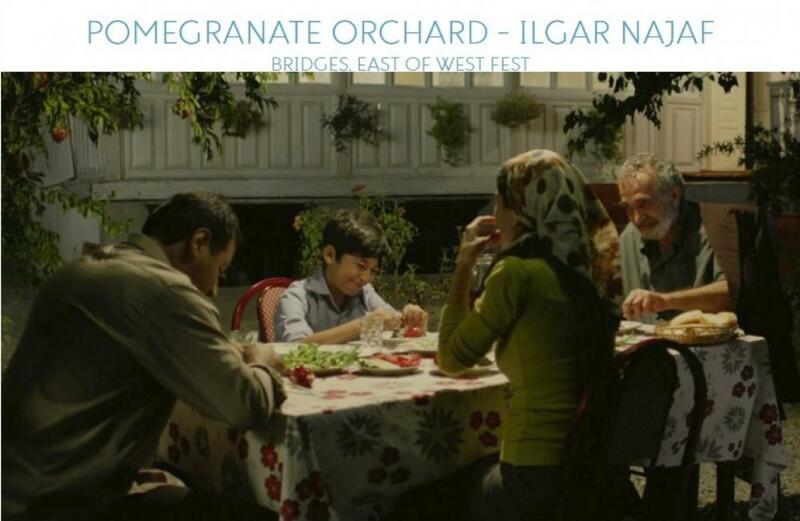 Another screening of national film “Pomegranate Orchard” movie by Ilgar Najaf on international arena will be held at Sofia MENAR Film Festival in Bulgaria on January 18. The festival makes Bulgarian audience familiar with the culture and traditions of the Islamic world. The festival is held every year in January. Sofia MENAR Film Festival features the best of Middle East, Central Asia and North Africa cinema productions, including feature films, documentaries and short projects. The film festival will run until January 28. Notably, “Pomegranate Orchard” will be also demonstrated at “Bridges. East of West Fest” Film Festival in Brussels. The festival will take place in BOZAR Centre for Fine Arts on January 17-21. The filmmaker Ilgar Najaf will also be in attendance. “Pomegranate Orchard” features a story about an old man, who lives along with his grandson and daughter-in-law in the decrepit house amidst of the huge pomegranate garden. Sudden comeback of his wayward son has changed a gentle rhythm of their peaceful existence. Forgotten bitter memories have come back and even more, new challenges are in store for them. Earlier, movie's scriptwriters Ilgar Najaf, Asif Rustamov and Roelof Jan Minneboo (the Netherlands) received the "Best Screenplay" prize at the 24th "Listopad" International Film Festival in Minsk. Bridges, East of the West Film Fest is dedicated to cinema from the countries on Europe’s eastern fringes. The festival will bring together filmmakers from Azerbaijan, Georgia, Ukraine and other countries. This five-day festival, with the filmmakers present, a rare opportunity for the public to discover a little-known cinema that draws on a long and rich tradition.